We are excited to announce a new mode officially coming to Fortnite players on Sept. 26: Fortnite Battle Royale. 100 players. One giant map. A battle bus. Fortnite building skills and destructible environments are combined with intense PvP combat. The last commander standing wins. Our Battle Royale mode is now in Public Test for Fortnite players and we would love your help testing the mode. Just open the game and select Battle Royale. We expect the servers will probably break and there will be other crashes and bugs during the Public Test. Yeah, we made a PvP mode for Fortnite. 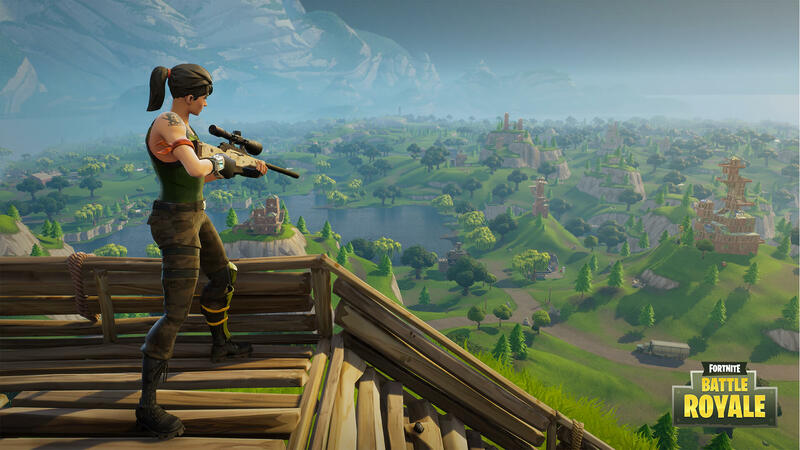 We love Battle Royale games like PUBG and thought Fortnite would make a great foundation for our own version. A few months ago Epic’s Unreal Tournament team began experimenting with the mode while the original Fortnite team kept updating the core game. To maintain game balance we kept the PvP mode completely separate from the PvE mode. The new Battle Royale mode was so much fun we decided to share it with everyone to get feedback. We are really excited about Fortnite Battle Royale and can’t wait for you to play it. This is just the first version of the mode, and we will update Battle Royale and the core Fortnite game throughout our Early Access period and into launch. We are excited to grow the game with you and thank you for joining us on the adventure. The battle is building. Good luck! If you see players not respecting the FBR code, please reach out to us in-game via the report a player button or by contacting player support. We will investigate all feedback and take action if or when necessary. The Fortnite Battle Royale Code is not final and will change over time, make sure you are checking back to stay up to date. “But, I didn’t know…” is not a valid excuse, and honestly a pretty bad one. We’re all here to have fun and enjoy the game!